The flagship looks distinct from its peers and sports top-line hardware, but isn't a big upgrade over the G3. Flagship features with "old world" features are a dying breed. 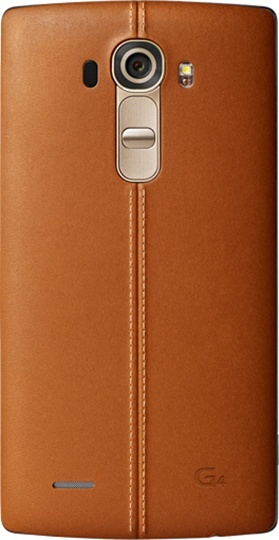 This year, after the Samsung Galaxy S6 made the switch, the LG G4 is the only flagship sporting a removable battery and expandable storage. Let's see how the phone measures up. The G4 is big and wide, but light and amazingly easy to use/hold with one hand. It left me impressed, someone who has avoided using big-screen handsets/phablets like the plague. The reasons are purely genetic: I'm a klutz with small hands and holding an unwieldy device is a recipe for disaster. A caveat: Because of the removable back, the phone isn't water-proof, unlike many other flagships. 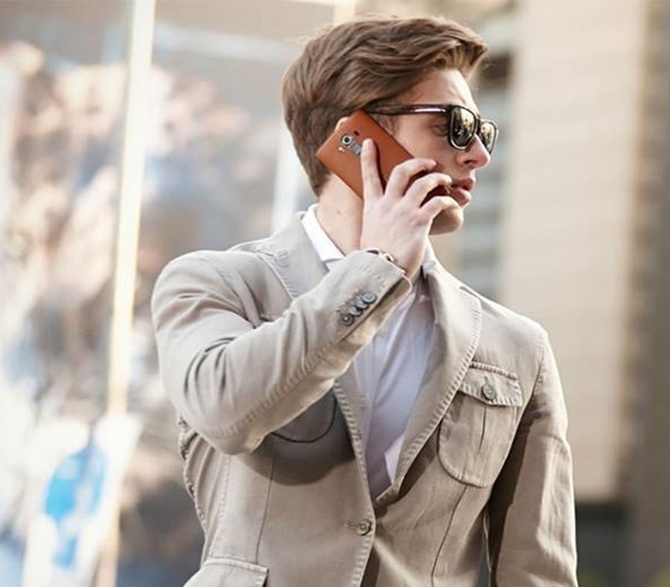 The review unit came with a tan leather back, which goes well with your jeans and also makes a bold statement in the boardroom. The 5.5-inch screen is slightly curved, something you'll notice only if you keep the phone face down. But we didn't try any tricks such as sitting on the handset, like we inadvertently did with the G Flex 2. The horizontal curvature of the back provides a very good grip. The curvature of the screen also provides for a good fit with the face and we found the G4 to be one of the best handsets for calling. Never once did the person at the other end say I was inaudible. While we were impressed with the leather back, we were worried it might become scruffy with use; but it emerged virtually unscathed after a month of regular use. At the back are the power key, flanked by the volume up/down keys and the speaker grille down below. The 16-megapixel (MP) camera, flanked by the sensor and the LED flash sits just above the keys. Since the microSIM and microSD slots are placed just above the removable battery and can be accessed by removing the back cover, the side edges of the phone are devoid of any buttons; it sports the IR blaster port on top and the headphones and charging port at the bottom. The G4 sports a brilliant screen, where colours appear true to tone and don't wash out in bright sunlight. 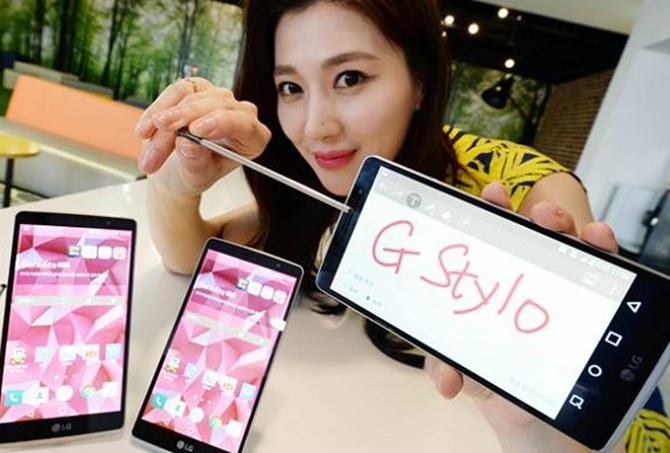 The G Flex 2 sported deeper blacks, but the G4 provides a better overall experience and better viewing angles. And it supports LG's double-tap knock to wake/unlock feature. The G4 runs LG's Optimus UX interface on top of Android Lollipop and the icons do appear a bit too colourful for my tastes. But the interface is unobtrusive, unlike many of its peers. It features the familiar Smart Notice, which tells you about the day's weather and by opening the widget one also gets access to apps that are eating up the battery. One can also stop these battery-hogging apps from Smart Notice, if one wishes to. Swiping to the left, one gets access to LG's Smart Bulletin, LG's suite of productivity and health apps. But for me, the best addition is Smart Settings, which automatically performs functions like, say turning on or off the Wi-Fi depending on one's location; or say turn the phone to silent mode after one reaches office. Gaming on the G4 was fun, with Asphalt 8 and Riptide GP 2 performing admirably. A caveat: Since games on the G4 are run at 1,440p instead of the usual 1,080p (the phone sports a QHD screen), frame rates for games, designed at 1,080p, drop. The hexa-core processor ensures no lags during normal usage and also doesn't heat up too much. Try opening two-three games together and the phone automatically keeps closing them till only one is open. Nice. The G4's camera was another standout feature. As someone who's used manual controls on cameras all his life, I rarely go beyond clicking the default party photo on a phone; till our resident phone-camera expert introduced me to the G4's manual mode. This mode allows one to focus manually (bokeh shots, yeah! ), set white balance (to determine how "warm" a colour is), auto exposure, ISO and shutter speed. What's more, one can even shoot in raw format (thank god expandable memory is supported, as pictures in raw format take up a lot of space). This was as good as a dSLR in my pocket! The G4 sports an 8MP front camera for the selfie-crazy generation; I used it for video-calling. It's good. One area we felt the G4 fell short was the battery. With normal usage (it will entail heavy video usage because of its brilliant screen), the battery fell to below 15 per cent towards the end of the day. 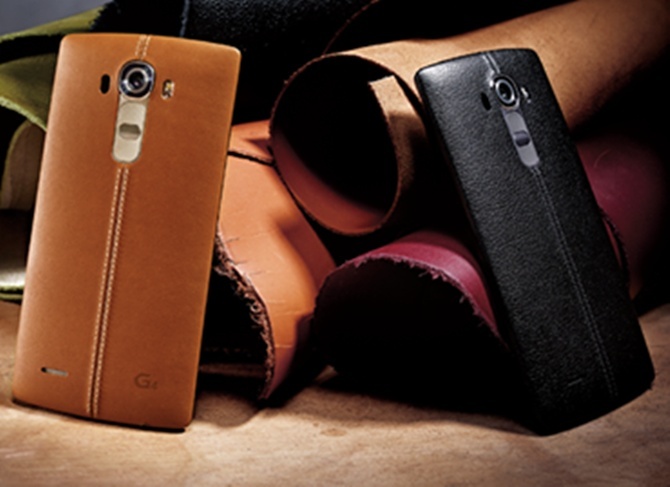 At Rs 51,000, the LG G4 checks most boxes for flagship smartphones, picking utility over gimmicks. It packs in a great camera, which could be the only reason you should ditch your G3. If you, like me, are partial towards "old world" phones, this is the only flagship option you have. 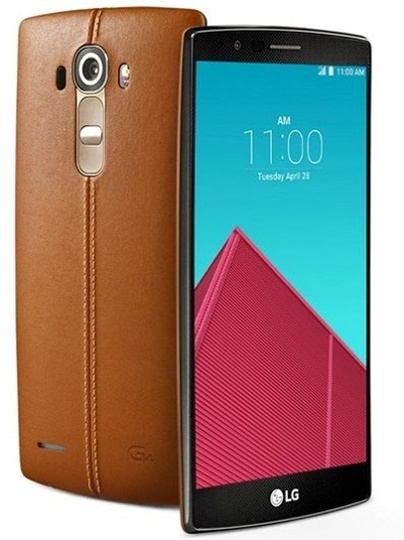 LG G3 is the best phablet money can buy!